CORVALLIS — It's too early to write off Oregon or write up Oregon State, but the best glimpse at the immediate future came in orange and black tint Friday night at Gill Coliseum. The Big Three — Tres Tinkle, Drew Eubanks and Stevie Thompson Jr. — led the way as usual. But the supporting cast provided its biggest boost of the season in a 76-64 win that wasn't as close as the score indicated. Tinkle, Eubanks and Thompson Jr. combined for 50 points, but the contributions of Seth Berger, Kendal Manuel and Alfred Hollins proved pivotal and offered hope that the Beavers (10-5 overall, 2-1 in Pac-12 play) will make a serious run at the NCAA postseason. Friday was just one game, but coach Dana Altman doesn't much like the way things are trending for the Ducks (11-5, 1-2), especially at the offensive end. "We've been concerned with our offense all year," Altman said. "We had 11 assists (Friday night). ... We weren't thinking about making plays for each other. Our ball movement hasn't been good all year." Oregon State coach Wayne Tinkle, meanwhile, was tickled with the way his team rebounded from a last-second loss to Utah on Sunday. "Maturity was a concern with this group early on," Tinkle said. "The guys put (the Utah game) behind them. No one was whining. That showed great maturity. "All you have to say is 'the Civil War game' to get them fired up. They really responded." Tres Tinkle, Eubanks, Thompson and his younger brother Ethan — a freshman who started but was under the weather Friday night and scored only three points in 25 minutes — have provided about 80 percent of Oregon State's scoring. Depth has been shallow, to speak in oxymoronic terms. Against Oregon, the depth got a little deeper. Berger, the 6-8 senior grad transfer from Massachusetts whom Coach Tinkle had been begging to have a big game all season, had one. His 12 points, on 3-for-4 shooting, were the most he has scored in a Beaver uniform — he came in averaging 2.4 points. Berger also contributed five rebounds, three assists and two steals with no turnovers in 19 productive minutes. "The 'Big Three' did a good job," Coach Tinkle said, "but Seth was unbelievable." Manuel, the sophomore guard who started all last season but was demoted to the bench with the emergence of Ethan Thompson, also had his best game of the season. Manuel scored all nine of his points in the second half — including a pair of critical 3-point shots — and had five rebounds in 20 minutes. Hollins, a promising 6-6 freshman, contributed two points and five boards and was a positive presence in his 18 minutes, helping the Beavers mount a 17-point lead going into the final 30 seconds. "They were a little bit more comfortable going down the stretch, a little bit more together, and fought a little bit harder than we did," said Oregon freshman guard Victor Bailey, who scored 11 points off the bench. "In the end, it showed." Without Berger, Manuel and Hollins, the Beavers — who led only 30-29 at halftime — might not have gotten the job done, even with the Ducks floundering as they were offensively. "People have criticized our depth, but it's coming along slowly but surely," Coach Tinkle said. "It wasn't where it needed to be, but we knew it was going to be a matter of time." Going against an OSU 1-3-1 zone much of the way, Oregon shot .362 from the field — its second-worst percentage of the season — and made only 8 of 29 3-point attempts (.276). At one point late in the half, UO was 9 for 32 from the field and still trailed only 28-25. "We didn't play that well in the first half," OSU's Eubanks said. "At halftime, we looked ourselves in the mirror and played a lot tougher in the second half." Eubanks was terrific and under control at both ends, scoring 15 points on 7-for-11 shooting to go with eight rebounds, two blocked shots, two personal fouls and no turnovers in a career-high 38 minutes. "Drew was a force at the rim," Coach Tinkle said. "He blocked a couple and changed a bunch more. That frustrated (the Ducks) because they couldn't get in there for 'easys.' "
Tres Tinkle — who wasn't made available to the media afterward — came up big as usual with 19 points, 12 rebounds and five assists. Stevie Thompson Jr. chipped in 16 points and six assists with only one turnover for the Beavers, who handled Oregon's full-court pressure well. Oregon State won the rebound battle 43-36, shot .526 from the field and made 6 of 13 3-point attempts (.462). The latter figure was big, because the Beavers came into the game shooting .307 from beyond the stripe — 317th among 351 Division-I teams nationally. Entering the game, the Ducks were tied for second (.324) and the Beavers tied for 10th (.368) in the Pac-12 in 3-point defense. "Guarding the '3' has been a weakness, but we turned it around against Utah," Coach Tinkle said. "We kept challenging the guys to communicate. Our efforts the second half caused them some frustration. They probably missed a handful they normally make, but the guys' intensity and focus in keeping them off the line for 40 minutes paid off." The Beavers weren't perfect Friday night. They allowed Oregon 16 offensive boards — eight in the first 13 minutes — and shot only .560 (14 for 25) from the foul line. After stumbling through a 5-27 campaign last season, though, the Beavers have a right to feel good about themselves, with wins over Colorado and Oregon in league play. Altman wasn't very happy with much of what he saw on the Ducks' side. "We weren't physical enough," the seventh-year UO mentor said. "You have to hit somebody and go get the ball. They had 12 of their 14 second-chance points in the second half. They just outworked us — there's no other way to say it. "We took some tough shots — at times, bad shots. We took too many 3's. We had nine in the first six or seven minutes of the game, and four were contested. We have a lot of work to do. I'm really disappointed in our effort. I don't want to take anything away from Oregon State. (The Beavers) simply played harder than we did the second half." Sophomore point guard Payton Pritchard, the only returning starter from a year ago, went scoreless in the first half and finished with nine points and only one assist in 28 minutes. Grad transfer guard Elijah Brown had five points on 2-for-9 shooting. None of the Ducks who took more than one attempt shot as high as 40 percent from the field. Freshman sensation Kenny Wooten had two points and three rebounds before fouling out in 13 minutes. "We feel like we've been letting games slip away from us and not putting our best foot forward," said junior forward Paul White, who led the Ducks with 16 points off the bench. "It hurts when the win is right there, but you can't cross the mountaintop. "Oregon State is a very experienced, good team, a well-coached team. (The Beavers) stayed with their fundamentals. We just have to take this one on the chin and keep going." 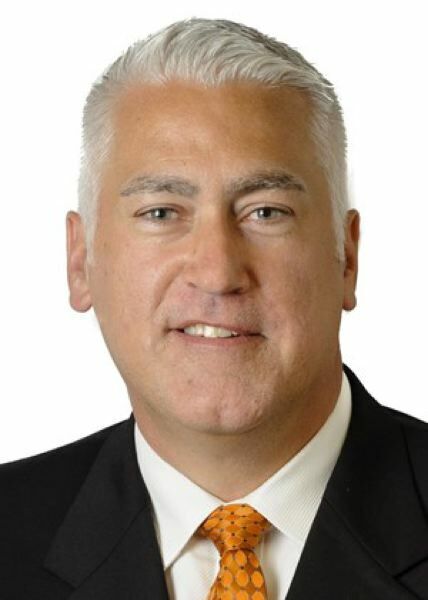 In his fourth season at the OSU helm, Tinkle is 2-5 in seven head-to-head Civil War meetings with Altman, which doesn't indicate the tide has turned. Altman knew after losing seven of his top eight scorers from last year's Final Four team that things wouldn't be quite the same this season. The step and a half back, though, has caught him off guard. "Our ball movement has to really improve if we're going to have a good offensive team," he said. "Our toughness and rebounding have to improve to have a good defensive team. "Right now, I'm not sure the guys believe what I'm telling them. We have a lot of new guys. They don't understand the competitiveness of conference games and how tough it is going to be. "We just haven't made the strides. We're making the same mistakes we made the second or third game of the year — our ball movement, blockouts, poor execution. We just haven't made the improvement that I thought we would." Over the next two weeks, Oregon faces road dates with Arizona and Arizona State, followed by a home series against Southern Cal and UCLA. "Our next four games are our toughest stretch, so we better get ready," Altman warned. Oregon State's two-week schedule is the same as Oregon's. After that is a visit to Eugene and a rematch with the Ducks. Before Friday's game, Oregon was 96th in national RPI rankings, Oregon State 201st — a spot ahead of Gardner-Webb. That's where neither UO or OSU want to be. The Beavers, though, should have a little extra bounce to their step in practice next week. "It feels good," Coach Tinkle said. "We talked about all this team has been through since Year 1, about being aware of who we are and what we represent. The guys took it to the court, and they were not going to be denied. We knew what we were capable of when we play with focus. We sure had that tonight."